DefenseNews had an interview with the Commandant. You can read it here. I will not repeat the Commandant’s responses here, but I will repeat one of the questions and add my own thoughts. Admiral, you have said that the Coast Guard’s identity as an armed service is forgotten. Can you tell me what you mean by that? The Commandant talks here about budget, but I think this starts with self image. We do SAR. We rescue sea turtles. Armed services are first and foremost ARMED. We are by law a military service, but we are currently inadequately armed for even our peacetime counter terrorism, DHS mission. We are less capable of forcibly stopping a ship than we were 90 years ago. Do our people know what their role will be if there is a major conflict with the Chinese or Russians? You can bet Navy and Marine Personnel have a pretty good idea of their roles. We have had a quarter century hiatus in a mono-polar world where no one could challenge American seapower. That is changing rapidly and it is time for the Coast Guard to see itself in a new light. Just as the nation has benefited from having two land forces (Army and Marines), it can benefit from having two sea forces. The Coast Guard is a substantial naval force. 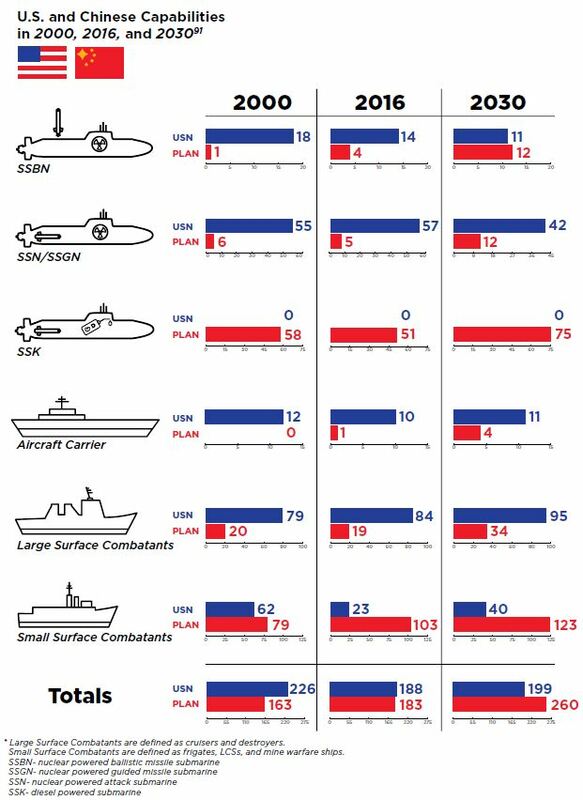 Certainly we will not replace the Navy’s sophisticated systems, but there is a need for a high low mix and the marginal cost of adding capability to Coast Guard vessels that are going to be built anyway is very small. We are currently in an unrecognized naval arms race with China. It is time to give the Coast Guard back the ASW and ASuW capabilities it was building before the collapse of the Soviet Union. When I reported to the academy in 1965, it had a gun lab, and we were taught ASW (badly) during swab summer. The Coast Guard had 36 ships equipped with sonar, ASW torpedoes and 5″ guns. The ships were old (not as old as now), but we were building a new fleet of 36 Hamilton Class WHECs equipped with a better sonar in addition to torpedoes and a 5″ gun. Being armed did not stop us from doing SAR, fisheries, or aids to navigation. At that time (1965) in terms of personnel, the US Navy was about 25 times larger than the Coast Guard and had 287 cruisers, destroyers, and frigates. Now it is only eight times as large as the Coast Guard and has only 85 ASW equipped surface ships. We also had a powerful naval ally in Europe in the form of the Royal Navy. Now the Coast Guard is supplying personnel to the Royal Navy and in terms of personnel the Coast Guard is larger than the Royal Navy or the French Navy. Equipping our planned 33 to 35 large cutters as true surface combattants could make a real difference. Even if we never go to war, preparation can make us better at our peacetime roles. Drug interdiction, migrant interdiction, and even SAR benefit from military grade ISR and C4I. Recognition of naval capabilities in the Coast Guard may justify additional resorces that have dual use for peacetime missions. Its a win-win. Condensed versions of remarks by Coast Guard representatives are available here. gCaptain is reporting that Indonesian authorities on the resort island of Bali have detained a ship from Malaysia carrying around 30 tonnes of ammonium nitrate which police believe may have been intended for making bombs. 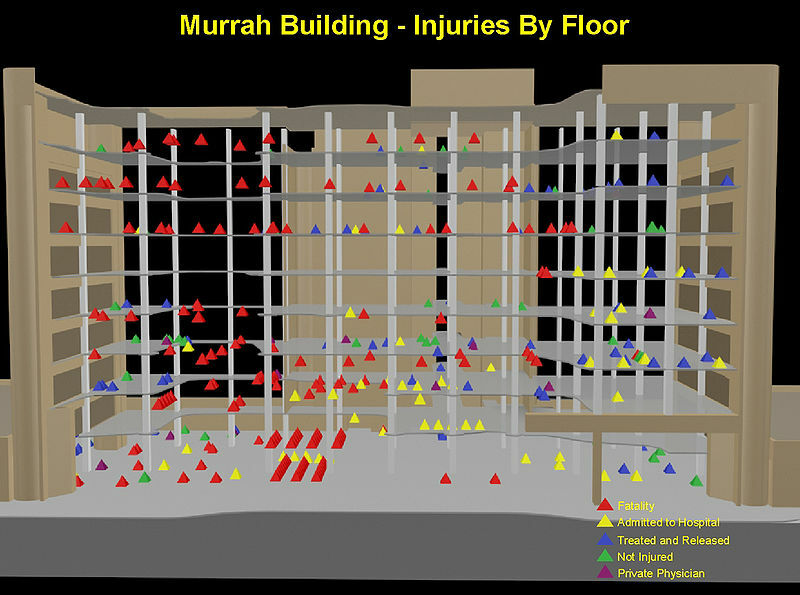 Ammonium nitrate was, you may recall, a primary igrediant in the truck bomb used in the attack on the Murrah Federal Building in Oklahoma City in 1995. Total weight of the explosives in that case was perhaps 7.000 pounds or less. There is no indication that the ship itself was intended to be used as a bomb delivery system. Retired Coast Guard Captain L. Dennis Bryant reflects on the Black Tom Incident that gave birth to the Coast Guard’s Port Security Mission (pdf). Procurement of 14 C-27J aircraft was one of the achievements sited. C-27Js replace C-130s at CGAS Sacramento. It is relatively short and readable at 21 pages. The recurring themes of the Commandant’s administration are all there, starting with TOC (transnational organized crime) and its deleterious effect on Western Hemisphere governance and prosperity. It does read a little like an Officer Evaluation Report input. There is nothing particularly surprising here, but even for me, the enumeration of the scope the Coast Guard’s authorities, responsibilities, and international contacts is still mind boggling. I am not going to try to summarize the report, but there were a few things that struck me. The Commandant mentions service life extension programs for the seagoing buoy tenders (already begun), the 47 foot MLBs, and the 87 foot WPBs (in the future), but there is no mention of what we will do about the inland tender fleet. There will also be a life extension program for helicopters before they are finally replaced. Reading the “National Fleet Plan” prompted some thoughts on where we homeport cutters. What started as a look at homeports then morphed into a look at, if there will be enough large cutters (NSCs and OPCs) in the “program of record” to protect our ports from a terrorist attack. That expanded a bit further. Could we also protect our strategic seaports? The Maritime Domain Awareness (MDA) system would after all want to make sure merchant ships were not used to sow mines off our coast. Warning: This is going to be a rambling post, so let me apologize in advance. Note, I looked at this from the point of view of making an intercept off shore, so rather than look at specific ports, in some cases, I clustered ports that had a common approach, e.g. Portsmouth, Norfolk, and Newport News all share a common approach so I grouped them together in what I will refer to as the Chesapeake Bay Complex. Other groups were ports around Puget Sound, San Francisco Bay, Galveston Bay, and Sabine Pass. I also disregarded Inland and Great Lakes ports. The National Fleet Plan included these particular stated intentions for the future. – Fiscal Year 2015: Submit revised Strategic Laydown (SLD) request and OCR to homeport 3 X FRCs at Naval Base Guam to include Lessons Learned from maturing CG-7/OPNAV N51 MOA. – Fiscal Year 2015: Process Organization Change Request to homeport 3 X Medium Endurance Cutters at Naval Station Pensacola. There are a lot of obvious advantages in homeporting at a Navy Base, particularly if Navy surface vessels are also based there. There are likely to be training, logistics, and maintenance support available on base and probably a shipyard will be nearby, meaning the cutter will not have to be away from homeport for their availabilities. But perhaps Coast Guard needs a wider dispersal of its assets than the Navy does. I also made the somewhat plausible assumption, that an intercept is more likely to be successful if the cutter is based in or near the port that is being protected. An intercept requires at least one cycle of the OODA Loop, e.g., Observe (detect), Orient (evaluated), Decide (on a course of action), and Act. It is going to take some time to determine that an intercept is needed, and more time to communicated the decision. If the cutter is in or near the port to be protected, we are more likely to be able to make a successful intercept. The USN homeports surface combatants in only five distinct geographic areas, the Chesapeake Bay (Norfolk and Little Creek, VA); Mayport, FL, San Diego, CA; Puget Sound (Everett and Bremerton, WA); and Pearl Harbor, HI. The Navy is increasingly concentrated geographically. Navy ships generally are in maintenance, in training, deployed far from the US or are in transit. They no longer routinely patrol US waters. This may not be a problem if you can handle a problem with aircraft, but reaction to a vessel that we suspect may be attempting a terrorist attack will almost certainly require investigation, including, most probably, an attempt to board. I was actually kind of shocked when I first realized the Navy had no surface combatants in the Atlantic Fleet homeported North of Virginia. We cannot rely on the Navy to do intercepts, with the possible exception of off San Diego and Chesapeake Bay. The Coast Guard fleet is much more geographically distributed than that of the Navy. The Coast Guard’s average of about two ships per homeport is probably not optimal in terms of maintenance. There are good reasons to group at least three ships of the same type together. This almost guarantees that at least one ship will be in port at all times, permitting shore side support to be usefully employed in continuous support of the ships. Three ships in each homeport also almost guarantees that at least one of the ships is fully operational. There are several reasons for the choice of homeports. Proximity to operating areas, e.g. closer to Alaska for ships that do Alaska Patrol, or closer to the Eastern Pacific transit zones for ships primarily assigned drug enforcement. Proximity to supporting facilities, e.g. shipyards, training facilities, assist teams. Proximity to potential target ports, if we consider these ships relevant for this mission. Perhaps cynically, political support may follow homeporting in a Congressional district or state. Maybe ethically we should not consider this, but unless you get political support you can’t do your job. San Francisco–as symbol of “alternate lifestyles” that many terrorist groups find abhorrent. Next, there are symbols of American military power, that terrorist groups would like to show are not invulnerable. Plus, if they could also at least raise the possibility of a spill of radioactive material, so much the better. So nuclear powered ships of any kind are likely targets. Attacks on Shipyards that build USN ships might also provide an opportunity to strike at US symbols of power. Notable shipyards are BIW in Bath, Me; Electric Boat in Groton, CT; Newport News in the Chesapeake Bay complex, VA; Austal USA in Mobile, AL; HII in Pascagoula, MS; and NASSCO in San Diego, CA. If we complete the “Program of Record” we will have 33 major cutters, 8 Bertholf class and 25 Offshore Patrol Cutters. The Bertolf class are already planned to go to Charleston, Alameda (San Francisco Bay), and Honolulu, HI, three ports on the target list. The 25 OPCs might best be distributed among eight or nine ports (7 ports with three ships and either one with four or two with two each). That would only cover at most 12 ports. Looking at it another way, if we assumed that these 33 ships were all successfully using the “crew rotation concept” and were available 225 days a year, that would give us 20.3 ships available on an average day. Certainly, not all of these are going to be available because some will be in Alaska and some will be in the Eastern Pacific. Hopefully the Western Pacific will also be patrolled and some will be in training. The Navy’s Littoral Combat Ships (LCS) will be based in San Diego and Mayport. Since the new cutters will share systems with the LCS, there will be a strong case for homeporting at least some of the OPCs in San Diego and Mayport. Looking at the distribution of ports and the current distribution of cutters, it looks like CGD8 (Gulf of Mexico) needs more than the two 210s currently assigned. The proposal to put three MECs in Panama City looks like a good idea even if Panama City itself doesn’t look like a likely target because of the proximity of Mobile, Pascagoula, Gulfport and the Mississippi Delta. Undoubtedly there are support facilities in the area. Still it is on the Eastern extreme of the District and not centrally located relative to these ports. Mobile or Gulfport are more centrally located. Another place we might want to put assets is Naval Station Ingleside, next to Corpus Christi. Ingleside is currently the home of all the Navy’s US based Mine-Warfare ships. The port was originally intended to support a carrier battlegroup, but with the reduced size of the navy and with Littoral Combat ships (which will be based in San Diego and Mayport) assuming the Mine Warfare role and replacing the Minesweepers and Minehunters, Ingleside is certain to have unused capacity. It would give the Coast Guard a base in the Western half of the Gulf of Mexico. There are obvious advantages to basing in San Diego. It is not just a Naval Base, it is one of two US ports where Littoral Combat Ships will be based and LCS share systems with the new cutters. Training, Logistical, and technical support should be excellent. Still of all the US ports, San Diego is the least likely to need additional Coast Guard help in defending the port. We might do better to base ships in LA/Long Beach which is still close enough to enjoy some benefit from the proximity to San Diego. We could probably say something similar about the Chesapeake Bay Complex. A Coast Guard boarding party delivered by a WPB or riding a Destroyer is probably all the help they will need in defending the port. Notably, missing from my target ports list are Boston MA; Key West, FL; the Columbia River/Portland, OR, and Kodiak, AK, suggesting, at least from this limited point of view, these may not be the best choices of homeport. These four ports are currently homeport to nine large cutters. Boston surprised me. There are several potential targets of historical significance in Boston that might attract attention, including the USS Constitution. Only if we stopped doing anything else, could we, perhaps, provide enough large cutters to provide a reasonable assurance of being able to intercept a medium to large ship suspected to having terrorist intentions, on our top 20 ports. Even if we did this, there would still be other targets that would not be protected. All along, I have been saying our cutter are not adequately armed to have a high probability of being able to stop such a vessel. I think this shows that, in fact, there is a good chance we might not have a major cutter capable of making such an intercept in the first place. If my arguments are not convincing, it is not necessary to accept my conclusions, test the hypothesis. Form a red cell to conduct a series of random paper exercises against the Maritime Domain Awareness system. For each exercise, have the red cell pick a target and lay out a ship’s track. Note when the track might be detected and the probability of detection, if missed on the first opportunity, when would it have been detected? add how long to evaluate? how long to make a decision? how long to communicate? Note where our potential intercepting vessels are, and how long it would take to assign them the task and how long would it take to intercept. We don’t actually need to move any assets, but after several repetitions, we should have an idea how good our current system actually is. We could solve this problem and obviate the need to even consider maritime security in the basing of large cutters, if we gave the job of intercepting potential terrorist vessel to the WPCs and WPBs and armed them properly for the task. All the potential target ports have WPBs and/or WPCs either in the port or nearby, and in many cases they have three or more. The necessary weapons are neither large nor expensive–a couple of light weight torpedoes to stop larger vessels and some Hellfire or Griffin class small anti-surface missiles to deal with small, fast, highly maneuverable threats. There are currently no US made dedicated anti-surface torpedoes, but they would not be hard to make. Meanwhile, it might be possible to use Mk46 or Mk54 torpedoes by selecting the right minimum and maximum search depths, if the right options are available. The smaller cutters might actually have advantages in speed, maneuverability, and shallow draft. There is perhaps an assumption that there are plenty of forces in the US to deal with this problem, so why do we need to beef up the Coast Guard. But utilizing those forces will require changes to the Air Force, Navy, Marines, and Army and the way they work. Conceivably we could send a Coast Guard helicopter, supported by a DOD aircraft, off shore to tell a suspicious vessel to heave to until we can send a vessel, most probably a WPC or WPB, to board and inspect the vessel. If they refuse to stop, even after using the airborne use of force package to fire across the bow, or if they proved hostile to the boarding party, it could be attacked by DOD aircraft. Unfortunately it seems the other armed forces do not readily embark on missions that have not been approved, exercised, and briefed well in advance. So far, I have seen no evidence we have been doing exercises that would make this alternative feasible. DOD units in the US are here to rest, train and reequip. Nothing could be more alien to most of them than to attack a merchant vessel of the US coast. We saw this lack of preparedness on 9/11 when two F-16s launched with the intention of ramming one of the hijacked aircraft because they had no weapons. Now there are aircraft prepared for Air-to-Air, but I suspect anti-ship preparedness is much as it was pre-9/11. This is really a Navy mission that we have somehow accepted responsibility for, allowing the Navy to base their ships in the most efficient manner, while they show the flag everywhere in the world except in our own waters. If we cannot do this job, we need to make the Department, the Administration, and the Navy understand that we cannot be held responsible for a task we have not been properly equipped to perform and that while the Coast Guard will assist, this is really not our job, its the Navy’s. I don’t really think we want to do that. It is giving up. It is repudiating the idea that the Coast Guard is a real armed force, with real military missions. We really need to start acting like we believe these threats are credible. We need to be brutally honest in appraising the Coast Guard’s current weaknesses, and we need a sense of urgency in addressing those weaknesses. Giving the Maritime Security job to the WPCs and WPBs and equipping them accordingly is fastest, cheapest route to a credible capability. Otherwise there is a good chance some poor JG, his crew, and his boat, armed with only a couple of .50 cal. may be the only thing standing between a much larger and possibly better armed terrorist controlled ship and its target. DefenseNews taks us “Inside the Israel Navy’s High Command Center.” There is not a lot of detail, but they do talk about what they try to achieve and, to a limited extent, how they do it. What Does It Take to Sink a Ship? Navy Developing Small Anti-Torpedo Torpedo System, Possible CG Use? Where in the World are the WHECs?